In the race to make the better burger, the biggest hurdle has been coming up with something that is more than a plain ground meat patty in a bun. The answer to this is to stuff that patty. By putting things like cheese, mushrooms, or chili peppers inside the patty you can take your hamburger to a whole new level. If you've ever tried to mix chopped veggies, or grated cheese into a meat patty you've found out that you end up with a patty that falls apart on the grill. The solution to this is to make two thin patties and place the goodies in between. This way the patty holds together while being flipped on the grill. 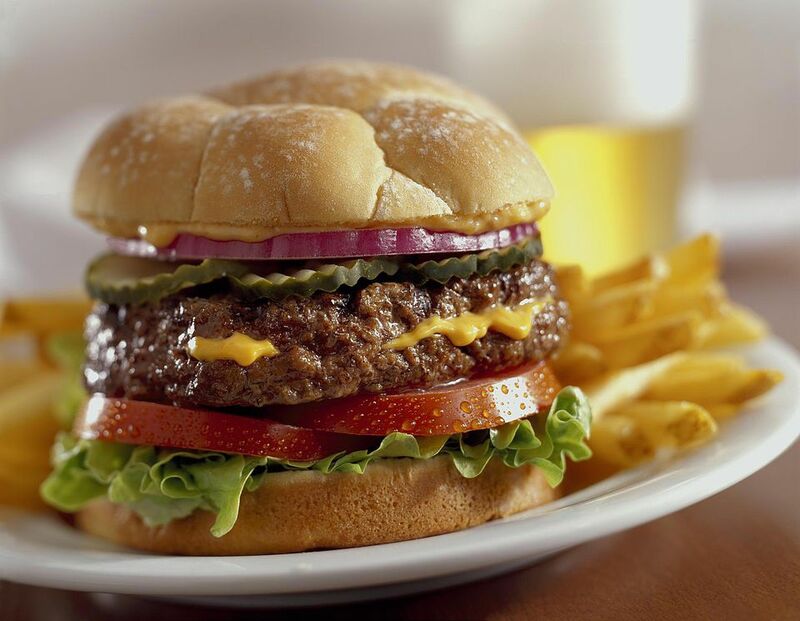 Start by deciding how many burgers you want to make. Divide the meat you are using into twice as many pieces. Don't add anything to the meat that might make it less dense. Press each piece out into a normal sized patty but about a quarter inch thick. Now you're ready to stuff the patties. What you put in the patty should be small in size and portion. If you over-stuff it, it will come apart on the grill. You should also try to avoid anything that has a lot of moisture. Grated cheese, chopped peppers, chopped and sautéed mushrooms work great. Practically anything you like on a burger will work. Once you have the stuffing ready, place it in the center of one patty. Spread it out, leaving plenty of room all around the edges. Place the second patty on top and press the edges together. Make sure that you have a good solid patty that isn't more than an inch thick. With the patties ready, follow the same basic method for grilling a hamburger. Start with a very hot grill, let the patty release from the cooking surface and be gentle with the flipping. If you do it right, you should only have the flip the patties once. Serve with your favorite toppings and watch the surprise on peoples faces as they bite into these wonderful hamburgers.